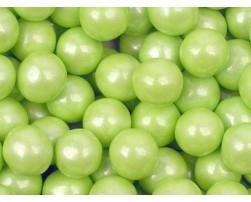 Our Products >> Pearlized Sixlets (Lime Green) 10 Lbs. Lime Green Pearlized Sixlets are unique round shaped candy coated with cocoa and carob centers candy. The cocoa and carob mixture gives this topping a chocolatey unique malted flavor! 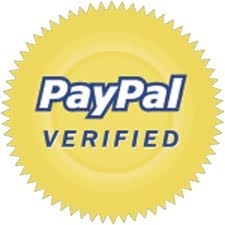 Each candy ball has a beautifully polished candy coat giving it a very appealing pearl look. Sixlets are perfect for cupcakes, ice cream and frozen yogurt toppings. Pearlized Sixlets (Lime Green) 10 Lbs.